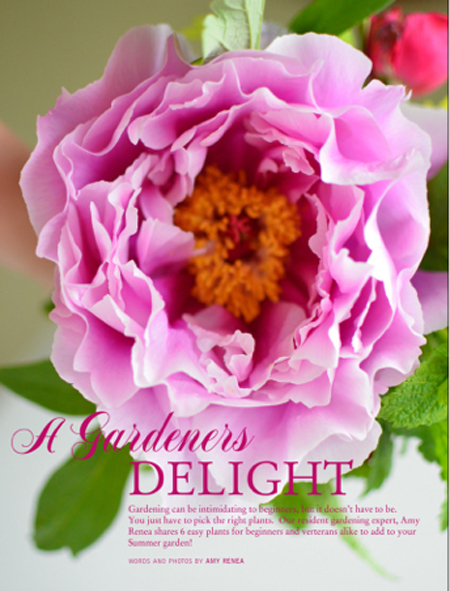 I’m so pleased to be able to share with you a gorgeous new Digital Decorating Magazine that just came out!! 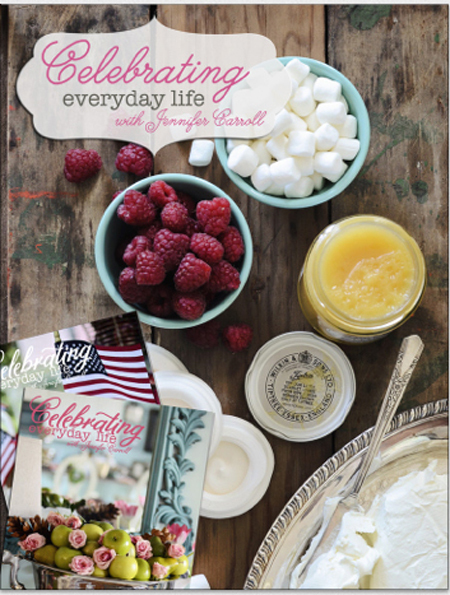 It’s called Celebrating Everyday Life with Jennifer Carroll, and you are going to LOVE it!! 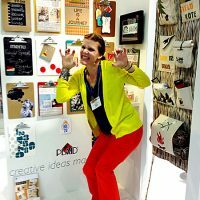 I had the pleasure of meeting Jennifer at Lucketts Store, several months ago. When I got home I looked her up online and was instantly smitten with her style! 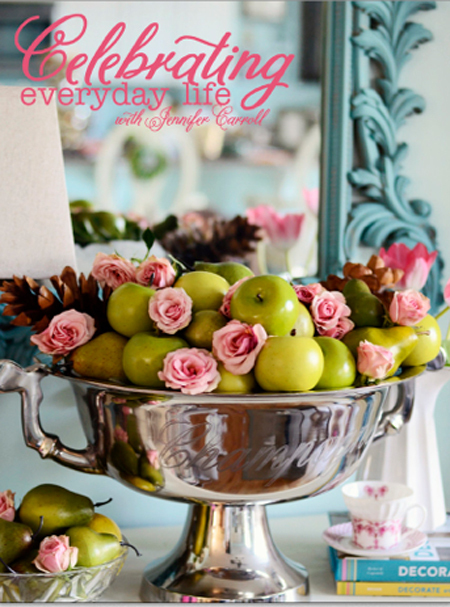 She has exquisite taste and does the most fabulous tablescapes…. well really everything she does is pretty fabulous! 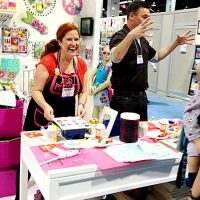 I believe this is her third issue and she’s rounded up some amazing DIY bloggers to contribute to the May/June Issue. The photography and vignettes are so lovely. Isn’t that Ribbon Chair the prettiest?! You can preview the issue HERE. The magazine is 206 pages long and is available digitally for the iPad in the Apple Store at a cost of $5.99, although you can save more by getting a 6 month or 1 year subscription. I’ll leave you with this short video, so that Jennifer can show you this lovely publication herself. I read about this magazine on Postroad Vintage! The preview looks promising! I’m glad you’ve heard about it already! I downloaded and it really is lovely!! 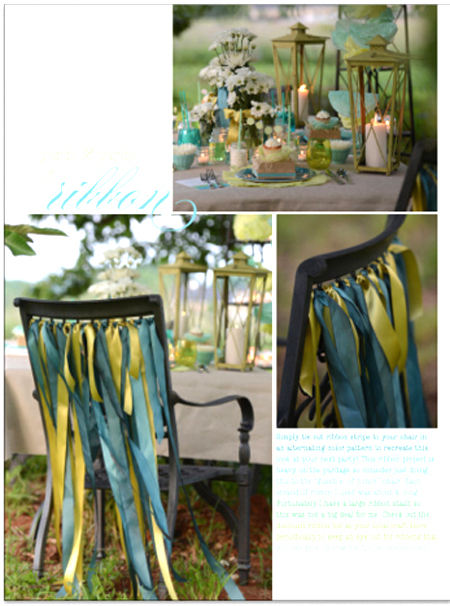 love the ribbon streamers on the chairs! So pretty right? I could see you doing this Debi!! You’re welcome Jennifer! You did such a beautiful job on it! !